Some delicate operations in harbours for example require examination of underwater ship’s body in order to find possible drug parcels which might be attached to the ship’s body by magnet clamps. The PKI 7510 dry diving suit is ideal for such actions. 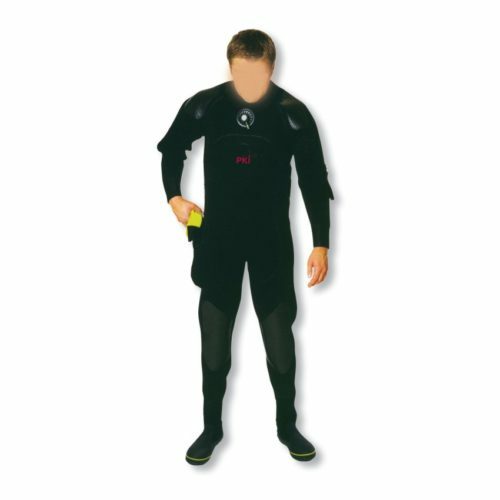 Knee and side pads are vulcanized on neoprene which predistine this suit for very tough applications. The zip is placed digonally on the back. Weight pads on the belt and shoulders are also fixed by vulcanisation.